Day 1: Welcome to Ambala Railway Station/Chandigarh Airport & Pickup & proceed to Shimla (140 Kms/4 Hrs.) En-route visit Sukhna Lake, The Museum and Art Gallery, Rock Garden. Evening arrival at Shimla. On arrival transfer to hotel. Overnight stay at Shimla. Day 2: Shimla: Shimla was the summer capital of British era. Today, visit Naldehra, a scenic spot founded by Lord Curzon. (2044 mtrs.). 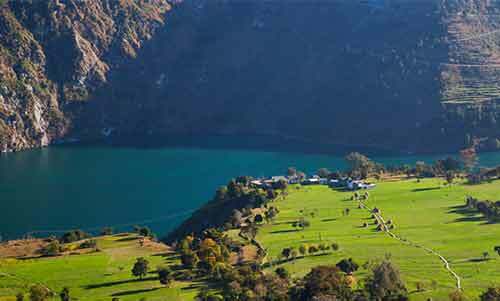 It has got high altitude golf course and also known as winter sports capital. Kufri, where you can photograph yourself in Himachali outfit, also enjoy horse and Yak ride on your own. Evening visit Mall Road, Jakku hills. Overnight stay at Shimla. Day 3: Proceed to Manali (270 Kms/10 Hrs.) En-route visit, Pundoh Dam, Hanogi Mata Mandir & Kullu Vally. Overnight stay at Manali. Day 4: Manali-Rohtang–Manali, an altitude 3940 mts (102 Kms–Return Trip) visit snow point along the Rohtang road. Tour members must carry warm cloths like hand gloves, muffler, sweater, shawl, socks & sports shoes etc. Overcoats and shoes are available en-route on hire. Jeeps need to be hired for visit to Rohtang pass at own cost. Overnight stay at Manali. Day 5: Manali-Jagatsukh, Naggar-Vashista-Hidimba and Manu Mandir-Manali. Today, we visit Jagatsukh and Naggar Art Gallery. This Art Gallery belongs to the famous Russian painter, Roerich, who married Devika Rani the famous actress of Hindi movies of yester years. Visit Hidimba Temple, Vasishtha Kund. 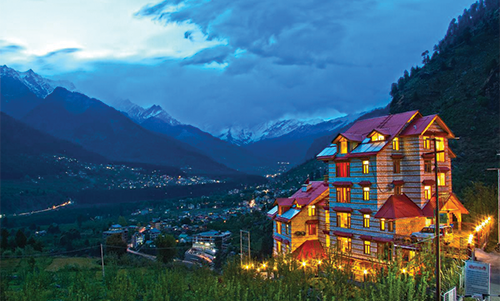 Overnight stay at Manali. Day 6: Departure from Manali to Dharamshala (200 Kms/ 8 Hrs) en-route visit Baijnath, Chamunda Devi & Palampur, the only place in Himachal famous for Tea estates, Taragarh Palace, Overnight stay at Dharamshala. Day 7: Visit Dalai Lama’s Palace & Tibetian Museum. Proceed to Dalhousie (143 kms / 4 Hrs) Dalhousie is built on and around five hills. 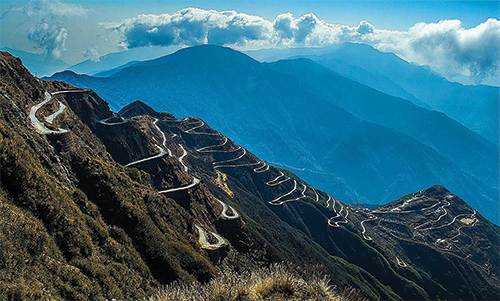 Located on the western edge of the Dhauladhar mountain range of the Himalayas, Situated at 7250 feet above sea level. Visit Punjpula popular picnic spot on a stream. There is Samadhi of Shahid Ajit Singh who died on August 15, 1947, Shatdhara On the way to Punjpula are the seven springs of Satdara, On the way is a popular spot called Subash Bowli. It is claimed that Netaji Subhash chandra Bose. Overnight stay at Dalhousie. 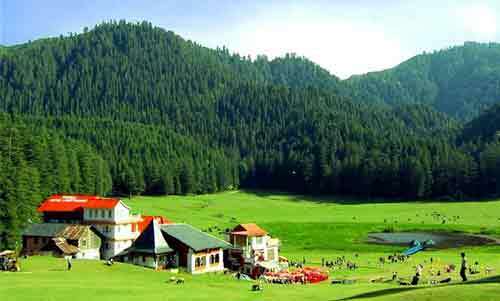 Day 8: Proceed to Khajjiar(23 Kms). It is officially proclaimed the mini-Switzerland of India. 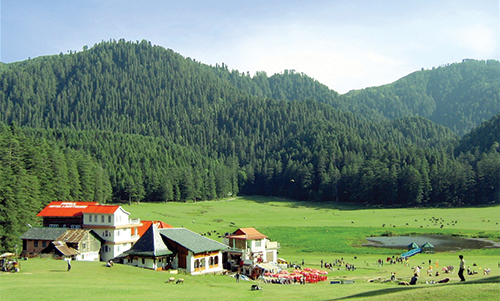 There are a few spots on the way from where a beautiful bird's eye-view of Khajjiar can be seen. Overnight stay at Dalhousie. Day 8: Transfer to Ambala Railway Station/Chandigarh airport.